I have often written posts about my latest best Bargain Beauty items, featuring fantastic, cheap beauty or fashion finds. 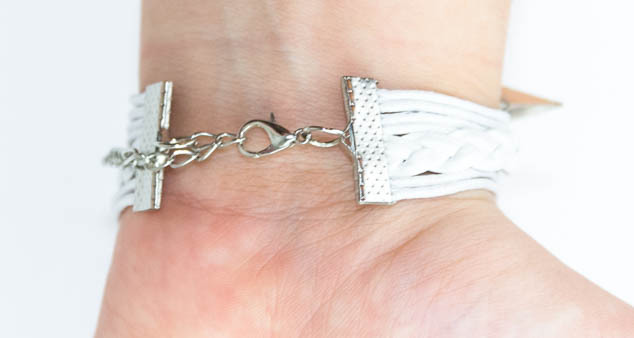 I am loving white fashion this summer, this Amazon charm bracelet would have fitted perfectly in my White Fashion Wish List. This latest post is an item I found on Amazon that was less than £1, including packaging. As soon as I saw the price for this 4 strand Amazon charm bracelet I thought I would have to give it a go, even if it wasn’t great I could use the charms for something else. My item arrived in 20 days, although I was given an estimated delivery of 10 – 30 days as it is from China. If you are in a rush to get it then I definitely wouldn’t recommend. The Amazon charm bracelet is made from synthetic leather, PU Leather, not actual leather but it is very strong and stays clean. The charms used are really cute and not badly made, cheap moulded charms. 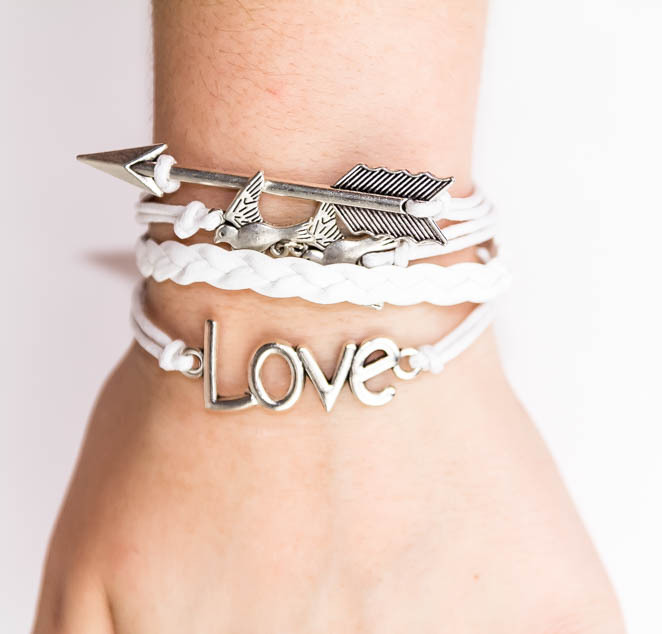 There are so many different variations of these 4 strand braclets online but I really loved the arrow, love and birds bracelet combination. Some of the other Amazon charm bracelets that I really liked and nearly chose was this really simple, minimalistic infinity bracelet, the nautical themed two toned sailors braclet and my favourite which I have since ordered for a friends birthday, the Harry Potter themed bracelet. It hasn’t arrived yet but it looks like the perfect, cheap little present for any Potter fans. The charms on it are great the way they build up the snitch, owls and the sign of the Deathly Hallows, I’ll share some pictures when they arrive! Amazon offer so many cheap pieces of jewellery, often under £1 with free postage, but it is often hard to know what isn’t just going to be cheap rubbish. Especially as Amazon reviews can be hard to go by, people are so much more likely to write an unhappy review and complain. 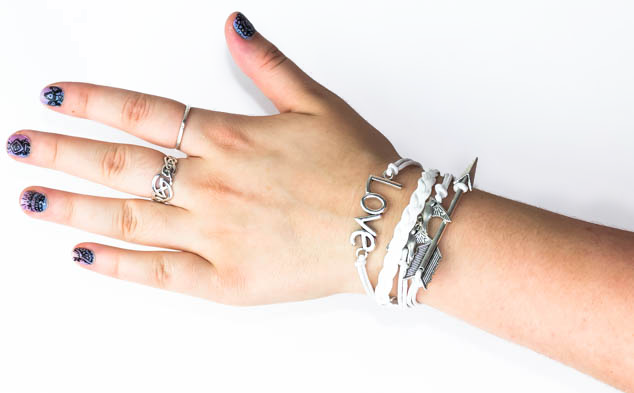 I’ve seen a few bloggers wearing these Amazon charm bracelets but not found any reviews, overall I think it’s a really nice, summer piece of jewellery at an amazing price. What are your favourite bargain beauty buys this summer?